Be A Secret Shopper & Save 50%! We routinely use secret shoppers to evaluate our cleanings. By collecting objective feedback, and sharing the evaluations and results with our staff, we ensure we are wowing our customers at each and every cleaning! Our employees never know which appointment is a secret shopper appointment, so this helps us treat every cleaning as though they are being evaluated. Our Cleaning Technicians are then rewarded with pay bonuses when they get high grades. It’s a win-win for us all! 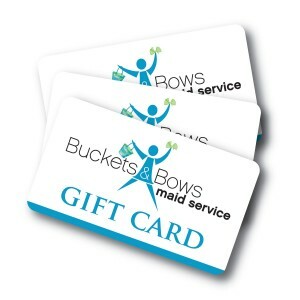 Apply now as a Secret Shopper with Buckets & Bows Maid Service and get 50% off your cleanings in exchange for a written evaluation submitted online after each appointment. Limited spots are available. You will be notified when a Secret Shopper evaluation becomes available, on a first come, first served basis and chosen based on the day and time we need a cleaning to be evaluated. P.S. feel free to refer a friend to this page. Are you currently using a maid service? How often do you currently have your home professionally cleaned? What is your biggest "pet peeve" when it comes to cleaning?